This year the long running SPE European Formation Damage event had fallen victim to the prolonged downturn and had been downgraded from a full conference to a workshop, but that did not stop the committee from organising lively and informative sessions on 7th and 8th June. A broad range of formation damage and sand control topics were covered, and my presentation on preventing sand failure in water injectors, introducing our recently launched Cascade3 technology, was first up on the Thursday. This was well received by a lively and engaged audience, sparking further debate of this challenging topic from the assembled experts. Some of these discussions are continuing beyond this event for me, with both existing and new contacts from this workshop. The more informal setting of a workshop allowed greater debate and informed insight from the high number of recognised industry experts in attendance. These discussions frequently expanded into the coffee breaks, lunches, and new topics were spontaneously added as the debates progressed, proving great interest to all. The evenings were filled with sunshine, (surprisingly) good wine and al fresco dinners in the beautiful setting of Budapest, and even some unplanned adventures as we took some misguided shortcuts while exploring the hilly but impressive Buda district. 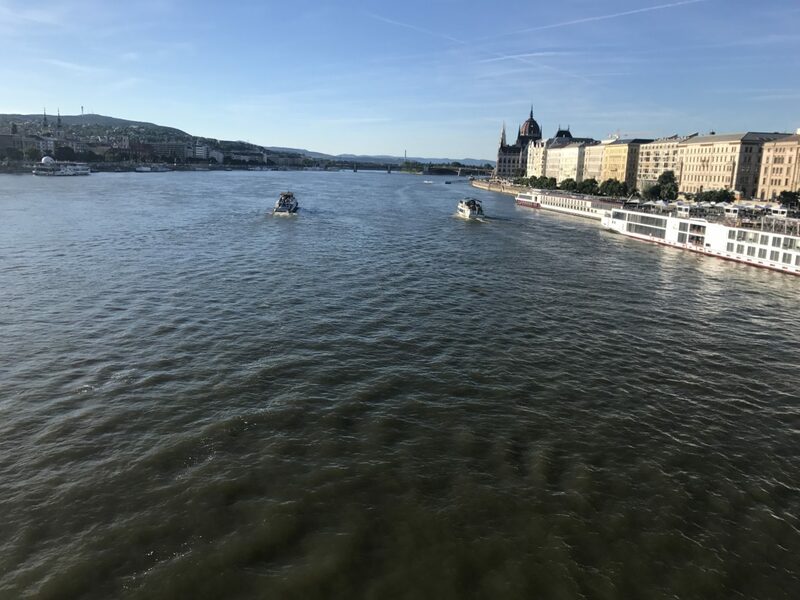 If I was to have any criticism at all, it would be the Danube was disappointingly not blue at all, and the 4am rise to return to Budapest airport for the journey home was most unwelcome – although considerably enlivened by the unfolding results of the UK general election.